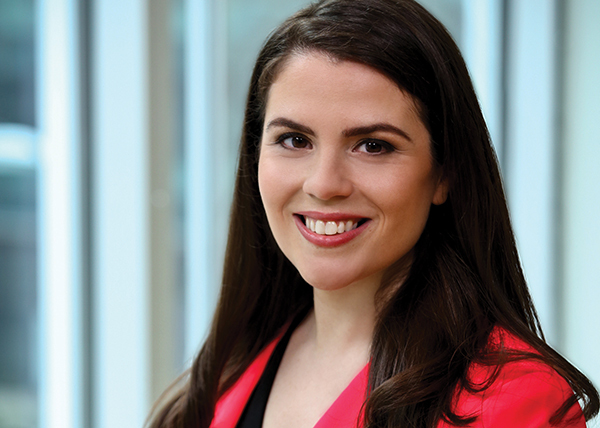 It’s not every day that a millennial takes the helm of a 125-year-old organization with 90,000 members. This summer, the National Council of Jewish Women will mark a new chapter — and a changing of the generational guard — as Sheila Katz, a vice president at Hillel International, replaces for Nancy Kaufman, who is stepping down after seven years as CEO. Katz, 35, spearheaded Hillel’s Ask Big Questions program focusing on civil dialogue as well as its MitzVote initiative. She was at Hillel for 12 years, has been a leader in the #MeToo movement in the Jewish community, and serves on the executive team of the Safety Respect Equity Coalition. 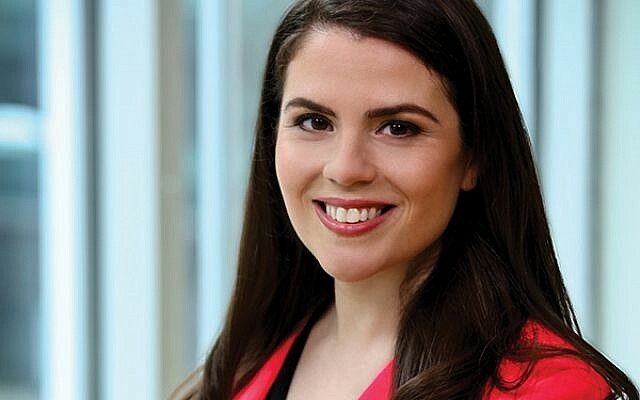 Katz recently spoke to NJJN about her hopes for the organization, her role in the #MeToo movement (while she was at Hillel, Katz accused mega-philanthropist Michael Steinhardt of unwelcome sexual remarks; a Hillel investigation confirmed her allegations), and the need for a robust Jewish feminist movement in 2019. This interview has been edited for length and clarity. NJJN: What are some of the challenges facing Jewish women today that an organization like NCJW can address? Sheila Katz: The thing that inspires me most about NCJW is actually how it started. One hundred and 25 years ago, a woman named Hannah Solomon was asked to organize the participation of Jewish women at a major gathering. When they arrived, they were asked to serve coffee instead of being a part of the conversation and they were not having it, so by the end of the day they had formed NCJW. While we like to picture showing up and being told to pour the coffee as something so outdated, in many ways, that kind of sentiment and the way in which women are seen and sometimes not valued are still the same today. What kind of role should a feminist organization play today at a time when the need for a feminist movement may be less obvious than it was 50 or even 30 years ago? In today’s political climate, it feels more relevant than ever to have a Jewish feminist movement. Something unique that women bring to the table that’s often downplayed as far as important skills go, but we know is the secret sauce to making change, has to do with relationship building. We have our national headquarters with a phenomenal group of staff there, but this is really a grassroots movement in over 60 communities. Each of the women there are thinking strategically about ways to build important relationships, build important coalitions, and do work from Jewish values that are actually going to impact our community at large. NCJW played an important part in the discussions earlier this year around the Women’s March. What kind of role should NCJW play in discussions about Zionism, intersectionality, and the Jewish community? The beauty of NCJW is that they value partnership and dialogue, and as often as we can be in partnership with groups that are making, or attempting to make great impact in this country, the better. And as long as we can be in dialogue and actually expressing that Jewish women need to feel like they can engage in those conversations and that Jewish values teach us to be at the table for those conversations, then we’ll have been successful. Is there a line that needs to be drawn there? Are there any spaces that NCJW should not enter? I want to make sure Jewish women of color feel included; I want to make sure Jewish trans women feel included; I want to make sure Jews with disabilities feel included. In the space of intersectionality it has been difficult to engage as Jewish women when the topic of Zionism has come up and potentially is viewed as something negative. This is an organization that believes in Israel as a Jewish and democratic state; we’re an organization that wants to make great change in Israel and while we might not always agree with the decisions of the Israeli government, we still want to make sure Israel is thriving. So we just have to bring all of that with us into the space and my hope is that we all know in advance that it’s going to get a little messy. As the youngest ever executive at Hillel and now the youngest CEO at NCJW, how will you engage younger Jewish women in NCJW’s work? There are so many amazing women that are 20, 30 years older than me who didn’t have the same opportunities in this country, and those were the women who were working to lower the barriers for younger women to be able to have opportunities that they didn’t have. So in many ways, me taking the helm is not just this statement of bringing millennials into the fold, it’s also a statement of the successful work that the women who came before me in the NCJW have done. And I feel lucky that they’re passing me the baton so that I get to, with their help, do the important work to lower even more barriers so that the women coming after me are able to be in leadership roles, and it’s not newsworthy that a young woman is CEO of a massive organization. As someone who has broken ground in bringing the #MeToo movement to the Jewish community, what responsibility do you think the Jewish community has in responding to the movement and taking it forward? We were saying this is not going to be the landscape in the Jewish world 20 years from now and really it shouldn’t be the landscape of the Jewish world one year from now. Women have done their part in coming forward and drawing attention and now it’s up to Jewish institutions to follow in Hillel’s footsteps and actually create better policies and better trainings and really acknowledge that these things happen right now. I feel like we’re at the tipping point moment and I really hope and believe that Jewish organizations are going to start to take these steps and if they don’t, I think they’re going to hear the voices of Jewish women around the country demanding better. What do you think the Jewish community can do about its dependence on the whims of large donors? It’s really not a choice as far as I’m concerned; I think the safety of our employees is more important than a blank check. We have set up a system where we have mega donors and with that comes mega power, and with mega power comes some challenges. Those are the conversations our organizations need to have right now, and I think they’re going to have to decide for themselves what the lines are. I’m hopeful in the midst of this work that we’re open to people really reflecting on their behavior, changing their behavior. I haven’t seen anyone come forward and say I’ve been in a position of power and I haven’t been the best because of it, here’s what I did wrong, and I’m sorry. There were many foundations that took out statements in support of the women who came forward, and I have never seen that in the Jewish community before. It was an important moment because it signaled to me that Jewish foundations and Jewish organizations understood the power they held and when they were able to do it, it really created a protection for the employees in those organizations and people who work with them to also come forward. The most overwhelmingly positive part of the entire horrible experience was to see that this was a moment where the Jewish community at large was actually going to have the backs of the people who came forward. Shira Hanau is a staff writer for The New York Jewish Week, NJJN’s sister publication.